FireEye protects customers from malware, zero-days, APTs, and other cyber attacks. University of South Carolina slashes incident resolution time by 75% with FireEye Endpoint Security. Air Academy Federal Credit Union (AAFCU) stays ahead of the cyber-security curve with FireEye. Alpha Grainger Manufacturing tightens its cyber defense with FireEye. Japanese artist agency management strengthens security with FireEye solutions. Private banking leader Bank Gutmann enhances email security with FireEye. FireEye technology detected more than the Bank of Thailand expected. Targeted attacks lead BCC to enhance its security measures with FireEye solutions. Leading financial services advisory protects its assets with FireEye. CBC Cologne Broadcasting Center achieves worldwide protection with zero false positives. Discover how CERN, the world's largest particle physics lab, protects its vast infrastructure with FireEye. Citizens National Bank of Texas now responds proactively to cyber threats. City of San Francisco secures its complex infrastructure with multi-vector threat protection from FireEye. City of Miramar local government balances small staff with great need for cyber protection. Rebuilding stronger than ever, the city of New Orleans protects its assets with FireEye. Commonwealth of Virginia improves detection and analysis capabilities for advanced threats with FireEye. Innovative recycler facilitates remote work while protecting employees from email attacks. CyberSecurity Malaysia leverages FireEye to support their CyberDEF service. D-Wave Systems employs FireEye to protect their Quantum Computing Systems. Defense contract enabler protects domestic and global partners using FireEye Helix. Major Law Firm Protects Personal Client Details with FireEye. Denver Public Schools protects their emails and network with FireEye solutions. Finansbank detects zero-day and targeted attacks with FireEye. Philippine telecom giant takes a global view on fighting cyber crime with FireEye. Hexaware protects its clients' most sensitive data with the help of FireEye solutions. FireEye and ForeScout get top marks from Hillsborough Community College. Infosys partners with FireEye to deliver multi-vector protection to 200,000 employees across 50 countries. FireEye wards off advanced malware to help Kelsey-Seybold focus on patient care. Industrial machinery distributor turns to Helix to keep things rolling. See how a global retail business line safeguards 365K emails a day with FireEye email threat protection. Through FireEye, Land Bank of the Philippines has elevated protection of their data. Laya healthcare delivers on its policy to protect members, with help from FireEye solutions. Lindsay Automotive Group stops email-borne threats in their fast-growing business. Luz Technologies uses a range of FireEye solutions to provide their clients advanced cyber security. Saudi Arabia Ministry of Petroleum and Mineral Resources thwarts serious cyber attack. Northshore Utility District protects its critical infrastructure with FireEye security solutions. One Source Communications partners with FireEye to make enterprise-grade protection a reality for all. Managed security services provider protects itself and its clients with FireEye Helix. Academic Healthcare CISO, Matthew Snyder, describes his challenges and shares his structured approach. PSCU benefits from early detection, improved visibility and actionable alerts with FireEye. Top Philippine bank deploys FireEye solutions to continue its legacy of innovation and protection. FireEye Provides Medical Center with cost-effective, intuitive threat protection for a wide array of devices. Signify shines the light on malicious activities across its global infrastructure with FireEye solutions. 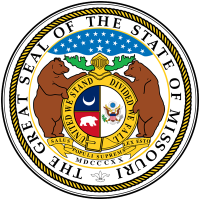 State of Missouri improves detection and reduces response time for advanced attacks with FireEye. Network Supervisor discusses how FireEye solutions integrate easily and produce quality alerts. Stiftung Wagerenhof protects residents and employees from cyber attacks with FireEye. Find out how Canadian mining firm uses FireEye Network, Endpoint, and Threat Analytics Platform. Learn how Union Bank leveraged their trusted partner to gain a best of breed security solution. FireEye secures Thailand’s largest shipyard from data breaches. USC slashes incident resolution time by 75% with FireEye Endpoint Security. Data analytics giant utilizes FireEye to optimize protection throughout the entire security lifecycle. Vodafone Australia collaborates with FireEye to create a comprehensive security framework. FireEye deployed to protect primary threat vector, retailer focuses on protecting long-term relationships. Mitigating the risk of cyber attacks is fundamental to this capital management firm. FireEye protects sensitive customer data for Fortune 500 insurance company. How one bank in Asia is winning the cyber security war with FireEye. Global developer protects against advanced attacks and prevents data theft with FireEye solutions. Veteran insurance company turns to FireEye Email Security to protect against threats that legacy solutions missed. Luxury retailer reinforces defenses to protect its world-famous brand. Stopping attackers in their tracks: A Turkish bank improves threat intelligence with FireEye. A leading academic medical institution safeguards patient data with FireEye solutions. FireEye solutions and services provide comprehensive protection for healthcare provider. Company raises the bar on security for its infrastructure spanning thousands of IT endpoints and multiple data centers. Regional bank defeats spear-phishing campaign with FireEye ETP and NX Essentials. Regional utility company boosts cyber security; sees immediate improved efficiency. Prominent stock exchange continues to rely on protection from FireEye. Vehicle component manufacturer future-proof security infrastructure with move to cloud. Organization keeps communications protected with FireEye Email Security.